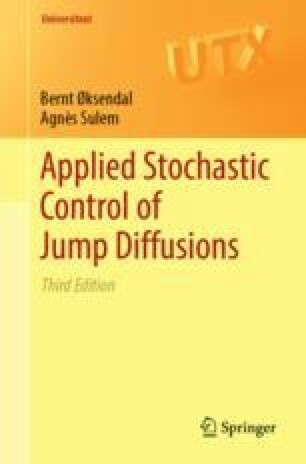 In this chapter we discuss combined optimal stopping and stochastic control problems and their associated Hamilton–Jacobi–Bellman (HJB) variational inequalities. This is a subject which deserves to be better known because of its many applications. A thorough treatment of such problems (but without the associated HJB variational inequalities) can be found in Krylov [K].